12/26/15. Between the snow and sleet, I was lucky enough today to try out my new TenkaraBum 36. My destination was Whitewater State Park in SE Minnesota, one of a few places in Minnesota open year round for trout fishing. 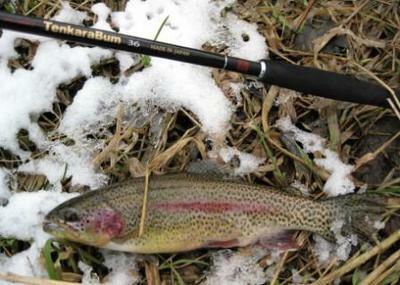 It's a popular place for fly fishing, and gets a lot of pressure even at this time of the year. I usually manage to catch fish, which I credit to the tenkara rod's suitability for targeting small riffles and runs with pinpoint casts, drag free drifts, and immediate hook sets. Most anglers tend to focus on the longer runs and pools. 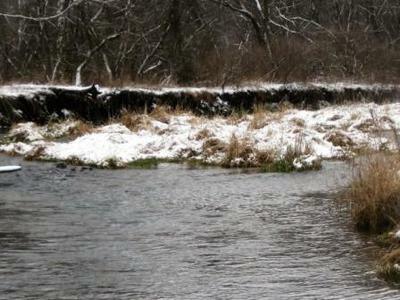 Of course tenkara works there as well, but I greatly enjoy the ability to target waters maybe overlooked by others. The first fish I caught came out of a swift flowing current of water just 1-2 feet wide along the opposite bank. Casting bead head nymphs with a light line was accurate and effortless. The rod was sensitive enough to detect the slightest of strikes, with enough backbone to lead a 10-12" fish out of a 3-4' deep pool, across the current, and over to the bank where I could land it. Within a week of ordering my rod, I was able to get out and enjoy today's success. Thank you for the outstanding service. I'm new to fly fishing in general, having started on tenkara last fall. The information available on this website has been invaluable. My brother and I fished Forestville to the south last May. We didn't catch many, but, the ones we did catch put up a good fight. That region of Minnesota is very nice. We were fishing the creeks that flow into the Root River. Forestville State Park is another beautiful place. 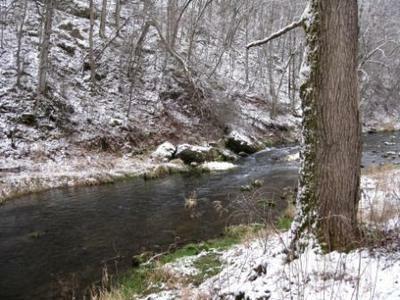 I brought my spinning tackle there last spring (before I discovered tenkara). No luck. I remember the water that time of year was an amazing sapphire blue. The Root River and the many streams feeding into it are really nice and offer some great opportunities. I've just started exploring. Are there many people fishing tenkara in SE MN? We didn't see anyone else fishing Tenkara setups but we did get looks and questions from others with western setups. We fished around Preston and other areas. One of the more popular creeks is Trout Run and we caught some pretty good browns after hiking away from the public access points.